At J&M Pavers Ltd we continue the great workmanship with cost affordable fencing and turfing to complete the overall look of the outside of your property. Our expert family run business are based in St Albans and can offer you quotations on all your needs from fencing, turfing, patios and driveways. No job is too small, just give us a call and we will guide and advise you on the best possible solution for your purposes and budget. We cover the whole of Hertfordshire and surrounding areas and offer a high quality fencing installation service to all our customers. All waste materials will be taken away from site, and your garden is left clean and tidy. 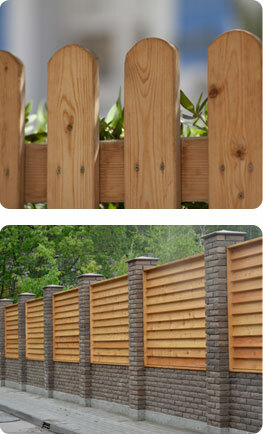 J&M Pavers Ltd pride ourselves in undertaking all of your building work ourselves. We do not pass any of the work to subcontractors so you can rest assured your project will be handled with the utmost professionalism and efficiency at all times. You can be guaranteed that we only use the best materials and all of our work is fully insured to give you peace of mind.